The revelation that the new Corvette Stingray will come with its own built-in instant replay was heralded by nerds and enthusiasts as a big step forward. But, uh, what happens to that data if you get in an accident? What happens to any of the data that your car is now suddenly producing all the time? A report from the Government Accountability Office found that automakers are keeping your location-based data for… uh… they're not saying how long. The report mostly found that car companies are using some safeguards to keep your turn-by-turn data and other information safeguarded, but that customers have almost no ability to delete this data and, as David Shepardson points out, no idea how long the carmakers keep it since none of the companies interviewed would disclose if they ever get rid of the data. It was also found that a mobile app company didn't encrypt it's data. So, yeah, exciting. 2nd Gear: What's Mary Barra Going To Do About Europe? Almost GM CEO Mary Barra is inheriting a strong North American operation and… a European operation. Via the Freep, a new report from Morgan Stanley shows the value of GM Europe is -$11.5 billion. Morgan Stanley estimated GM's European losses in 2014 at about $260 million, down from an estimated $837 million in 2013. The firm estimated GM would report a 1% profit margin in Europe in 2015. 3rd Gear: At Least She Has China! GM may have been edged about by VW in China, but they're not exactly sweating the 3.16 million vehicles they sold themselves or through joint ventures. The company sold more than 271,002 vehicles in December alone, up 11.8% year-over-year. Compare that to the 6.3% drop for the automaker in the U.S. last month. And this time they mean it! There are so many Jalopnik stories about BYD claiming they'll sell cars here this year that anytime we see a new story about it we can't help but laugh a little. With a fun-loving CEO and Warren Buffett money you can't count them out forever, though, even if they often do weird things. Bloomberg has them on record saying that 2015 is the year. "Back then, we had passion, but we had no brand, no history, no capital and no competitive advantage," said Li, 43, who spoke at BYD's headquarters in Shenzhen in China's southern Guangdong province. "BYD has become more fashionable and we have improved our design and safety. We don't want to compete on price anymore, but on quality and innovation." It's hard not to appreciate that spirit, but you'll forgive us if we wait to see on this one. Yeah, so, apparently all of the Mitsubishi companies that bailed out Mitsubishi Motors got "preferred stock" that didn't actually give those companies (like MItsubishi Corp. and Mitsubishi Financial) any dividends or any voting rights. Per Bloomberg, Mitsubishi is going to "raise as much as 241.6 billion yen ($2.3 billion) in a share sale that's designed to help the company resume dividend payments for the first time in more than 15 years." Walter Chrysler, the founder of the Chrysler Corporation, one of America's Big Three automakers, is featured on the cover of Time magazine as its Man of the Year. In 1928, under Walter Chrysler's leadership, his company had acquired the Dodge Brothers Company, thereby becoming the world's third-largest automaker. Also that year, Chrysler launched the low-priced Plymouth line and the mid-priced DeSoto brand. Additionally, Walter Chrysler had bankrolled construction of the Chrysler Building in New York City. When it was completed two years later, in 1930, the 77-story art-deco skyscraper was the world's tallest building. 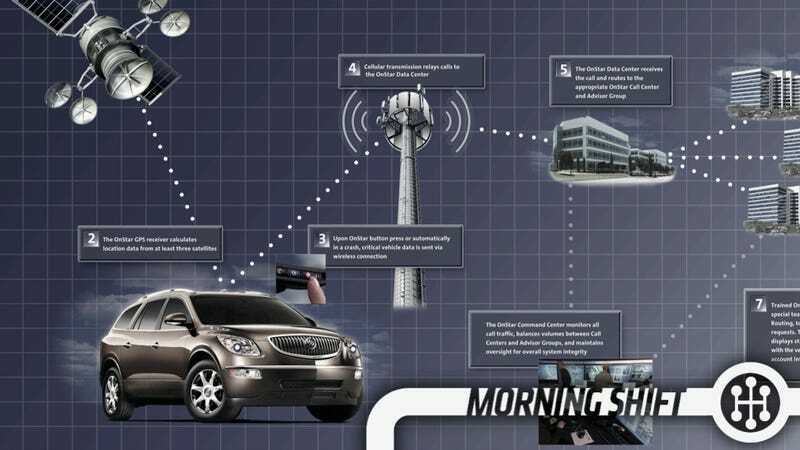 Neutral: Big Brother Is Watching Do you care that carmakers are keeping you data? Did you know they were?